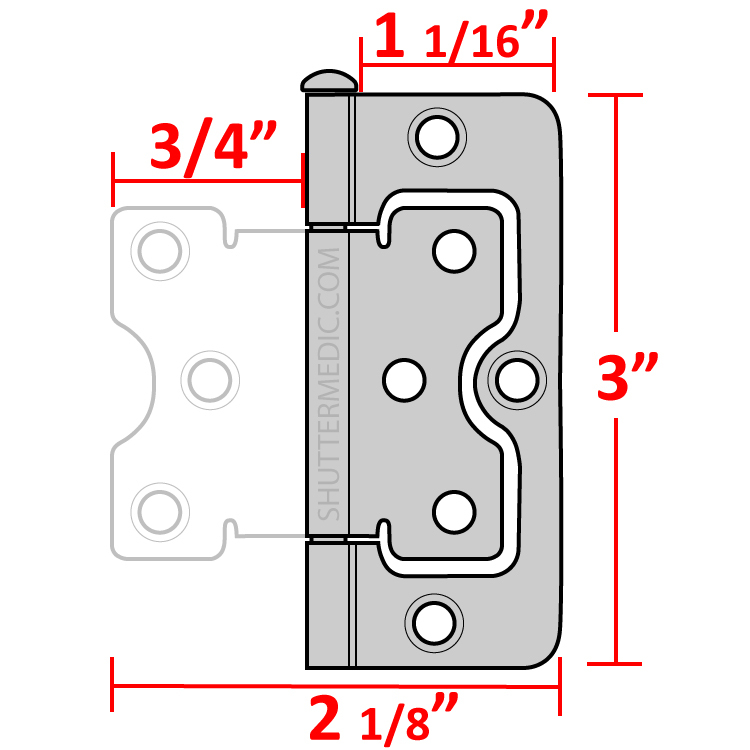 Order Non Mortise Shutter Flag Hinge (3" x 1 1/16"). Replacing old worn out shutter hinges has a dramatic effects and it is so easy to do. If you can turn a screw driver the is a great do it yourself project. Because these are non-mortise hinges, there is no cutting or special skills required to install them. 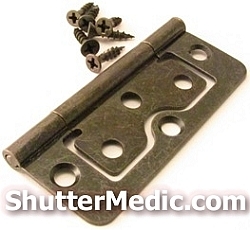 Simply attach the shutter hinges to your panel and frame using the screws provided. Great product, well made top quality stuff. The VERY BEST part of these items are the measurements provided on your website, they are precise and easy to follow. This hinge was a perfect match for the one that I replaced it with. All of our shutters had gold hinges and my wife wanted them to be white. These hinges were perfect for my project, and a very price. The order was sent correctly and the product is exactly what we needed. We changed out the hinges and the shutters look like new after painting .